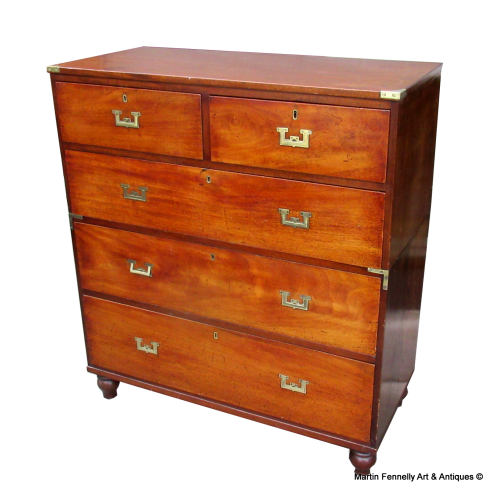 This is a Mahogany Campaign Chest of Drawers dating to Circa 1860. The Mahogany Chest has rectangular top above two short and one deep drawer, all above two lower deep drawers. 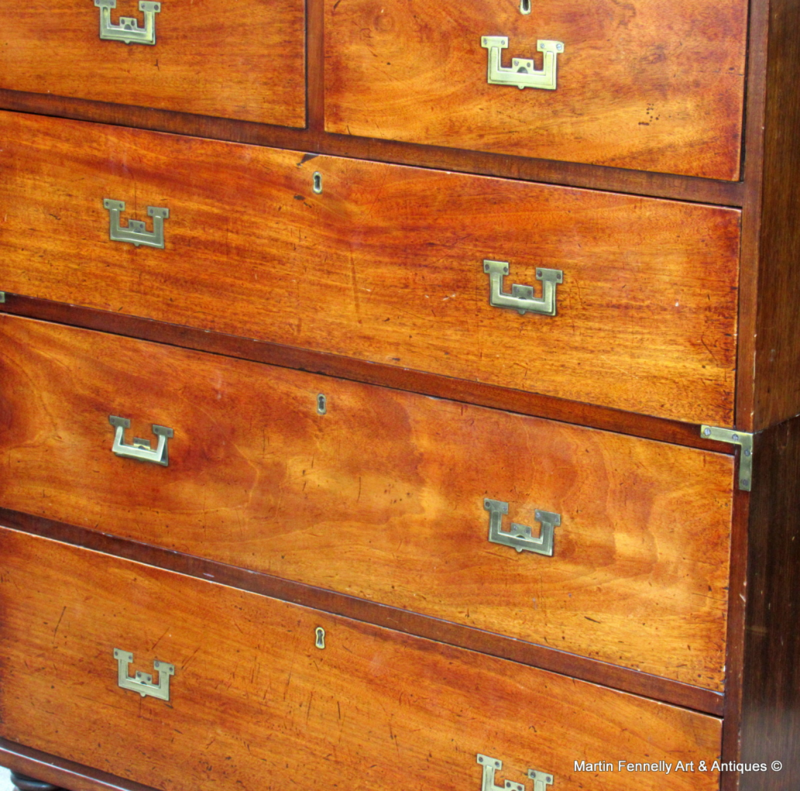 The chest has the original Campaign recessed handles and corner brass mounts. 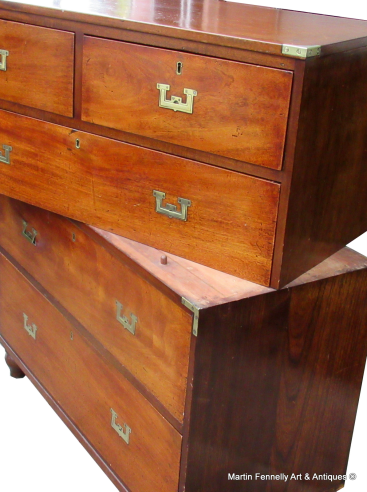 The Chest is constructed in two sections for ease of travel and is a lovely and useful piece for the modern home.